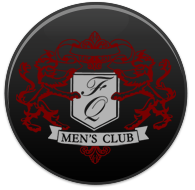 Enjoy “Happy Hour” 7 days a week at the Men’s Club! With half off food and drinks specials from 3pm to 7pm, there’s plenty of time to party after or before work! Join us this season for football Sunday’s and Monday’s! Cheer on your favorite team Sunday’s and Monday’s at Men’s Club. Enjoy the finest food and drink specials and your chance to win tons of prizes. View the games on two 100 inch HD screens and two 72 inch HD TV’s! Also enjoy our “Half Off Sushi” beginning at 6pm!